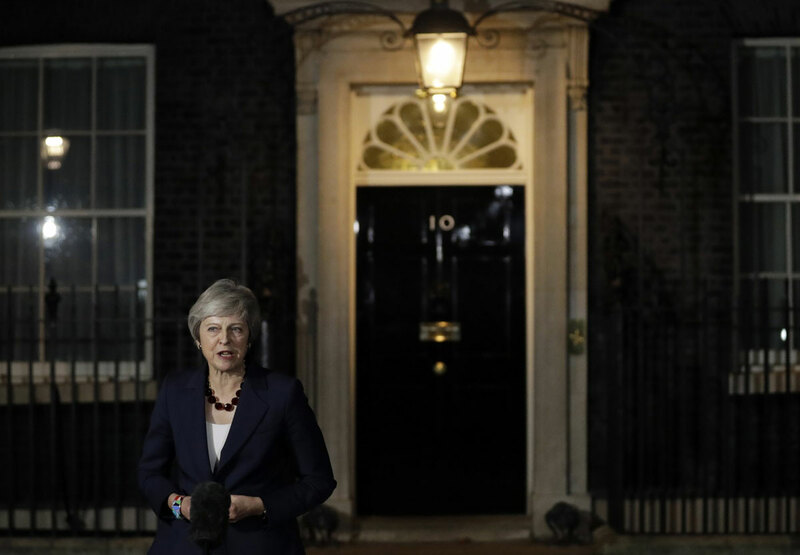 In a hard-won victory, British Prime Minister Theresa May persuaded her fractious Cabinet to back a draft divorce agreement with the European Union on Thursday, a decision that triggers the final steps on the long and rocky road to Brexit. But she faces a backlash from her many political opponents and a fierce battle to get the deal through Parliament as she tries to orchestrate the U.K.’s orderly exit from the EU. But the agreement, hammered out between U.K. and EU negotiators after 17 months of what Barnier called “very intensive” talks, infuriated pro-Brexit lawmakers in May’s Conservative Party, who said it would leave Britain a vassal state, bound to EU rules that it has no say in making. The solution in the agreement involves a “single EU-U.K. customs territory,” to eliminate the need for border checks. Northern Ireland’s Democratic Unionist Party, which props up May’s minority government, insists it will oppose any deal that leaves Northern Ireland subject to different rules to the rest of the U.K. after Brexit.